My cousins Martin and Harold Haptonstall came to visit us in San Diego, California in the mid-seventies. I was a cool teenage girl but these cowboys were beyond cool. We went to the rodeo at the San Diego Stadium, the first rodeo I had ever seen. That evening they told stories about riding bulls. Harold talked and Martin signed. Martin was born deaf and mute but never let that get in his way. I will never forget the story he told, signing and pantomiming the bull striking his face with his horns and proudly showing us his gold teeth and other scars. Harold embellished with words what Martin could not. They lived for the rodeo. My cousin Martin has since passed away and I do wish I could have known him better but will always remember this evening of story telling! My cousin Harold, cousin Sharon (also deaf and a champion barrel racer) and Aunt Opal still live in Washington. I'm just a city girl who loves the rodeo because of the stories she heard from her cousins. I can only imagine the stories that have yet to be told. I love reading these comments and stories about Martin and Harold! So amazing. It was my cousin Barbara who was also deaf, not Sharon. Another cousin, Kristi Clark Knapp barrel races these days in Washington. When Opal Clark, (Harold and Martin's mother) became a Haptenstall two old west families merged. Opal's grandfather was Hezekiah Texas Clark from Happy, Texas. He fought in the Cival War and was a self taught doctor during the Indian Wars of the late 1800's. His son Homer Theron Clark moved his family to Montana, then Washington. Lots of history in this family. I'm actually Martin's youngest daughter Jayme. He was an amazing man for sure. It's actually Aunt Barbara who is deaf. She lives in Benton City still. And grandma Opal is doing great at 93! She and Aunt Sharon live together in West Richland. I love to hear all these stories of the man I never had the pleasure of getting to know as an adult. I was fairly young when he passed away but cherish every memory I have of him. Would love to stay in contact with family I never knew I had. My grandmother's mom is a Haptonstall (Rachel) and was a real pioneer. She came west with her family over the Oregon Trail in 1853. Her grandfather, Abraham Haptonstall, is buried somewhere along the Oregon Trail. They settled in the Wilamette Valley, but my grandmother was born in the extreme northeast corner of California near Alturas, which is real cowboy country, still. Rachel spent her life in eastern Oregon and northeastern California. She was residing on a ranch on Butter Creek near Pendleton, Oregon, for many years and no doubt attended many a Pendleton Round-up rodeo. 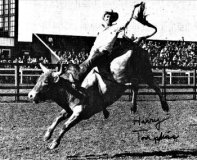 Harold was the bull riding champion of the 1974 Pendleton Round-up. So happy to read your comments! It is so exciting to read your memories! Cousin Harold?? Have you read this? I knew both Martin and Harold. Martin was deaf and is the person that taught me and my brothers how to ride bulls. We would load up in Martin's car and drive to a practice pen and get on some bull's. Martin would take us on this short cut over the horse heaven hills to Hermiston and of course it was a gravel road. He would be driving a long and hit rock that would feel like they were coming through the floor board. We would sign to him to slow down, but he kept going just as fast as before. He was a great man and friend. He had an incredible knowledge of bull riding and very great focus. I saw the video of him riding a bull that no one had ever riden before and he scored a 92 on the ride. Donnie Gay later got credit for the first person to cover that bull but we all know that is a bunch of BS. I worked with Harold and watched him ride a lot of bulls in his day. 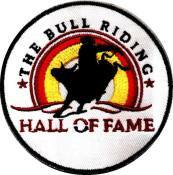 Harold was inspirational to a lot of guys riding bulls in the State of Washington. Both of these men were well respected and great Cowboys. I am so glad this rememberance has made people smile. 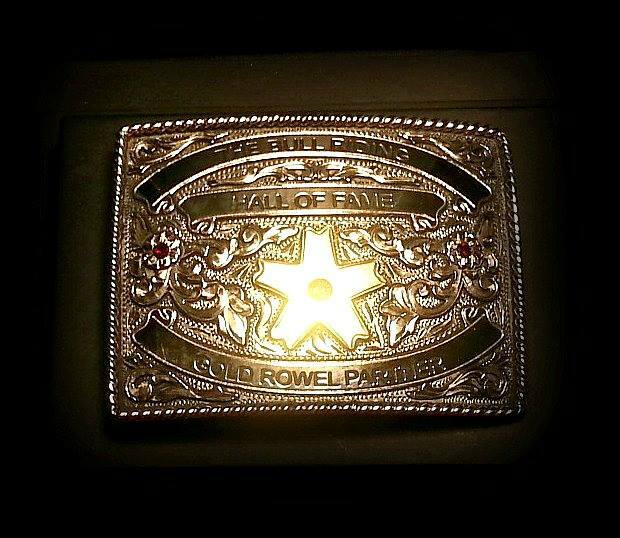 Here's to all bull riders and everyone in the rodeo! You keep the wild west alive! I know Harold well. I got on my first bull at his house in 95. I would later live on that property as his guest. Harold is a major influence in my life. I lived hearing about Martin from him and others. My Brother David & I attended the 100 year Anniversary of The Pendleton Round-Up with Harold Haptonstall and Don Armstrong all three ex Bull-Riders (not me though). Harold is in The Hall of Fame. Harold is a legend and still active with livestock and in helping young aspiring bull-riders.David & Don continued to Senior Rodeo. Spoke with Harold last night and even at his age he is still occasionally breaking horses and doing things which would amaze you! He has the stories from Australia to Texas-Wyoming-California-Montana-Washington, Oregon and Canada. This is a disappearing breed, the old cowboy of the past and we need to hang tight to that history and those stories. I remember reading about the Haptonstall's. It amazed me that they could have so much control while riding a bull that they had to count to 8 seconds before getting off. When I heard they were born with hearing loss it really impressed me. Now that I know there was a sister wow! This is truly amazing when at times riding bulls can be an out of control split second moment.